How has marketing changed thanks to social media? Well, now 90% of customers are influenced by online reviews. Some companies cringe when they hear this: The decision whether to buy can come down to a good or bad Yelp review. And we all know some customers can be finicky, their opinions arbitrary and skewed. But some can be incredibly on point. Since so many people are influenced by consumer reviews, customer service is a new form of marketing. Customer satisfaction turns into word of mouth, word of mouth converts the potential customer. The sheer volume of conversation going on allows businesses to analyze metrics and adjust customer service and marketing based on the numbers (i.e. number of negative posts about a product vs number of positive posts). Peer-to-peer marketing doesn’t exclude business-to-consumer social marketing—it runs alongside it. We can learn quite a lot about what customers want, and what they like, from social media metrics. We can also learn from businesses who are doing this well. Here’s a look at some of the exemplars in different industries. Five Guys looks at posts related to brand and keywords and creates content based on what people are saying. Further, they use geo-locational data to zero in on marketing successes, product and service issues, and how people are feeling about unique campaigns around the world. They use Hootsuite to track as many types of hashtags about their company as possible and reach out to consumers on an individual level, talking with them, not at them. Their social customer service representatives work on responding to customer issues as quickly as possible. They get the most customer service inquiries on Twitter, then Facebook. They use social media to, “Serve as a barometer for customer concerns or business opportunities.” UPS’ efforts are an example of compartmentalizing different aspects of the social strategy, but integrating each team with the other. Southwest recently created a Listening Center, which they use to solve service issues, share information about their brand, and provide “one-contact resolution” to customers—which reflects their emphasis on personalization—they have teams devoted to each network and encourage flight attendants to post on social media when they find out about a customer’s special occasion. Any customer relationship management software can help you track these metrics. 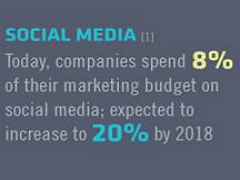 And ultimately, your social media campaign will benefit the more you listen. 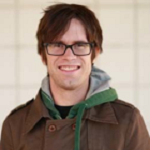 Daniel Matthews is a freelance writer and musician from Boise, Idaho. In 2006, he earned his Bachelor’s Degree in English with a Creative Writing Emphasis from Boise State University. Throughout his twenties, Daniel worked as a Psychosocial Rehabilitation Specialist, a marketer, and a server. Last year he took the plunge and became a full-time writer. Daniel believes one of the most important, if not the most important aspect of modern business is the understanding and appreciate of diverse cultures. Please find him on Twitter. Are You Getting the Most From Your Public Speaking Skills?